Looking for Guitar Maintenance and Repair services in the East Holland area, Twente, Enschede City? Well look no further, get your guitar worked on by our repair man Bram. Don’t risk taking your beloved instrument to an untrained tech. 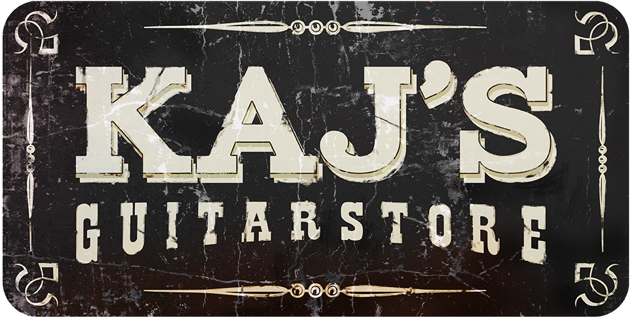 Come down to Kajsguitarstore and get the job done right. Bram loves fixing someone’s favorite instrument. Here we got a list of just some of the Maintenance, Repair & Mod services we can provide,. If you have a problem or a requirement that is not listed here, just give Bram a call or drop a line to discuss what he can do for you. As every guitar is different prices are just guide-lines, but we will do everything possible to keep the job within your budget. Clean, Adjust Truss-rod, nut height, bridge height, intonation, pickup height, check electronics. Same as regular setup plus balancing of locking trem. Clean, Adjust Truss-rod, nut height, saddle height. everything included in a setup plus, levelling of worn frets, re-crowning and polishing frets. Everything included in a Fret Dress plus balancing of locking trem. A fully custom cut bone nut made from scratch to fit your guitar perfectly.